For under £100 these wireless headphones are a great buy, featuring both V3.0 Bluetooth and NFC, with over-ear headphones, a 17-hour battery life and 40mm neodymium drivers providing high-resolution audio. With these great headphones you don’t just listen to music, you feel every kick, thump, and bass wobble. The over ear design keeps all the sound in and background noise out, while the dynamic driver unit ensures a deep bass response. The 17 hour battery gives you plenty of time to enjoy your music without distraction too, but it is the sound quality that will astound you – putting on these headphones is like stepping into a studio and hearing your favourite music being recorded live! You feel every vocal line and every pulsing bass beat, just the way the original artists intended. The 40mm driver units deliver a frequency response that highlights every note of your favourite tracks with perfectly balanced sound reproduction. The ultimate listening experience is now available thanks to Sony engineers teaming up with The Script (Danny O’Donoghue, Mark Sheehan, and Glen Power). They have managed to develop a new generation of headphones that are designed to offer a wide frequency range and crystal clear, full-spectrum sound. Plus you can now sever ties with all those unsightly cables with the convenience of wireless listening from your Bluetooth enabled smartphone or tablet. 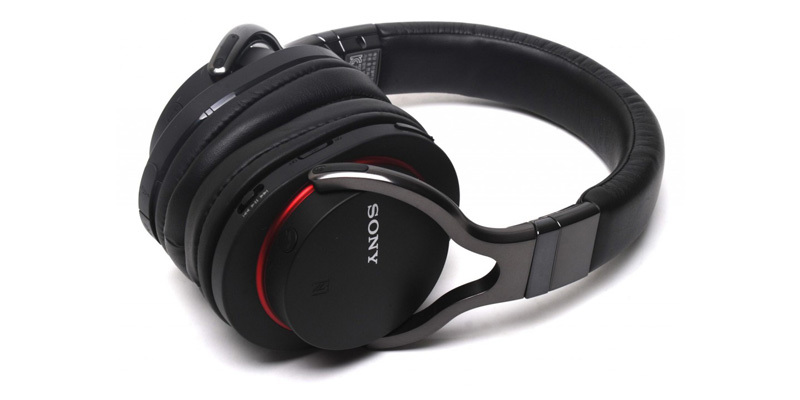 Connecting to the Sony MDR10RBT Wireless Headphones is easy when using an Xperia phone, or any other Near Field Communication enabled device, just touch your device to the headphones and you’re connected! No confusing pairing instructions or complex set-up codes required, just a quick, one-touch connection. For audio devcies without NFC that’s not a problem as you can still connect easily via Bluetooth for wireless listening.